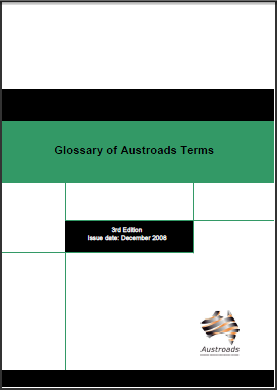 Older versions of the Austroads Glossary of Terms (such as the one pictured below) were known as the Glossary of Austroads Terms. The renaming is presumably to reflect that many of the terms defined are widely used outside of Austroads. All versions of the glossary are very useful documents that define a large number of local government terms relevant to local government.